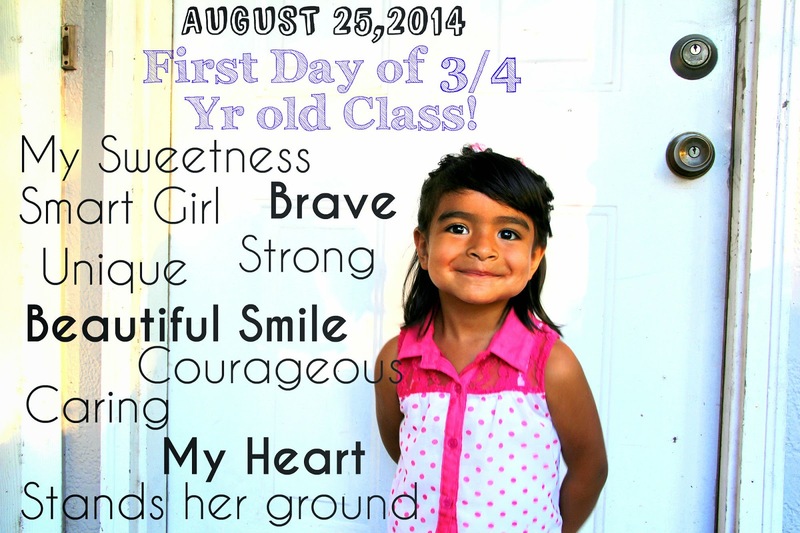 Today was the first day of school for many! While my children are not in public school, which for this Momma is santiy on this very unexpectly emotional Monday morning, they still had exciting changes today. My little man started Pre-School in daycare, he is officially in the "big kids class". My little Mama started in the 3/4 year olds class she was in the 2/3 year old class until now. I didn't think I would be emotional but here is the thing, for the last year and half Camila and Santiago have been in the same group of toddlers and their days were pretty much on the same schedule. 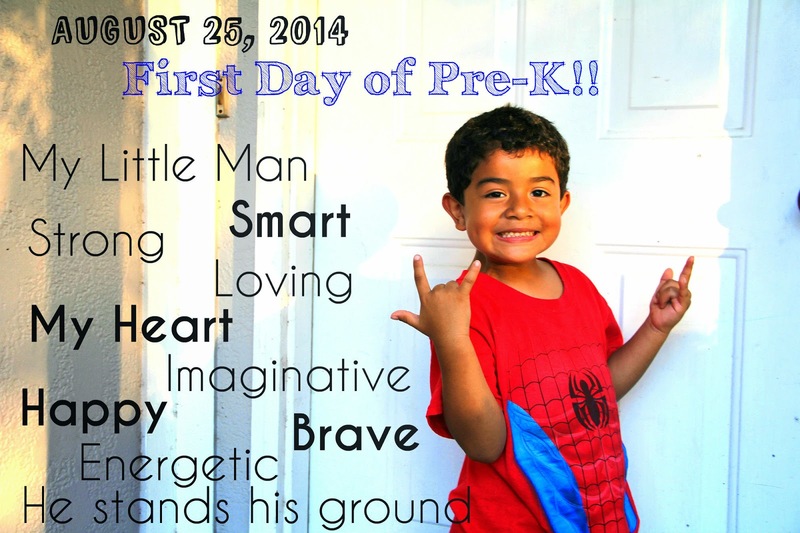 With Santi moving to the Pre-K class he will no longer have lunch or recess with my baby! They will both have to depend on their own strengths and courage to go through the day without one another. Santi is a very big brother who loves and protects his Sister when he isn't trying to get her out of his face. I think this will serve as an experience of growth and appreciation for one another. I hope. My Hubby and I have given them both very firm and supportive talks about starting this new stage of their lives and I hope that they will not only make brave decisions but also stand up for themselves and be strong in their beliefs. A bit much for a 3 and almost 5 year old? Maybe but my Hubby and I are both the eldest in our families and we have learned from struggles and mishaps and know the direction in which we wish to shape our children's independence as well as their courage and bravery. This world, no matter what age can be cruel and while we are teaching them to see the good in everyone and everything we also don't want them to grow up close-minded or naive to the harms of the outside world. I know that may sound a bit intense but until now our children have developed very unique personalities and they are never afraid to be themselves. I want that to continue. Everyday a new lesson. Everyday growth. What do you want your children to learn this school year?